WASHINGTON — Metro moved closer Thursday to keeping its current hours for at least another year, even as the District threatened to block the plans in two weeks over concerns that the reduced service could remain indefinitely. Metro’s Safety and Operations Committee voted 3-1, with D.C. Council member and Metro Board Chairman Jack Evans opposed, to continue current hours of 11:30 p.m. closings weeknights, 1 a.m. closings Friday and Saturday nights, and service only from 8 a.m. to 11 p.m. on Sundays through July 1, 2020. Evans, and fellow D.C. Metro Board member Corbett Price, threatened to block that action on Feb. 28 using a jurisdictional veto. When both voting members from Maryland, Virginia or the District vote no on a Metro Board resolution, it fails automatically. If the hours are extended, the Federal Transit Administration warned the region it could trigger a ripple effect that leads to up to $1.6 billion being withheld from transit agencies across Maryland, Virginia and D.C., since the FTA might divert resources from key safety approvals to reopen reviews of Metro safety improvement and capital spending plans. Maryland, Virginia and federal Metro Board members expressed unified support for keeping the current hours, even with no clear idea of how long they may be needed. Metro staff recommended keeping the current hours to allow current preventive maintenance testing and other programs to continue as planned. In addition, the 3 percent subsidy cap now required by Maryland and Virginia is based on the reduced hours, so any expansion in hours would require money be found elsewhere in the Metro budget due to be approved next month. 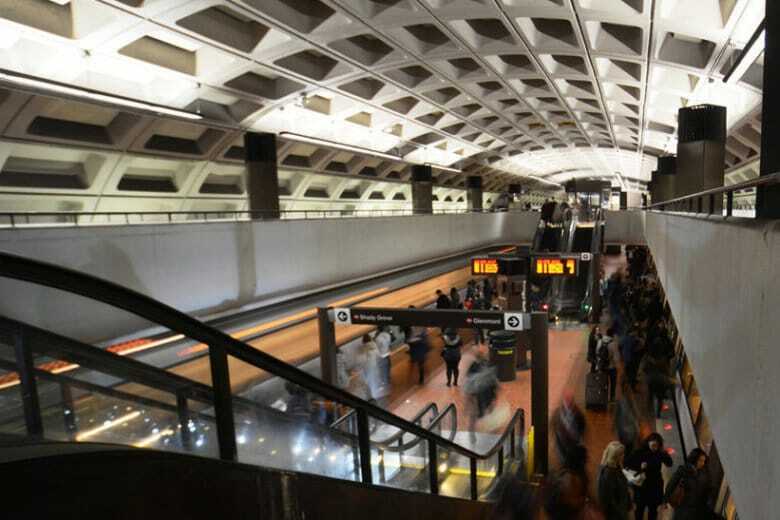 Metro General Manager Paul Wiedefeld agreed to lay out more information this fall on what is needed for a continued maintenance and inspection program, along with alternatives for service levels that allow the work to continue. For example, Metro is still going through its first round of testing cables across the system to be sure they will not spark fires, and it is unclear until that is done how frequent testing should be or how many cables must be replaced. “We all want more service, but we want it in a safe manner,” Wiedefeld said. Though he wants the hours to continue, he said he would not leave the agency if hours are expanded. Instead, it would simply mean more single-tracking or shutdowns at various times of day and days of the week. Even with the current hours, Metro plans to continue round-the-clock work zones for major projects. Virginia’s Paul Smedberg emphasized the importance of the regular maintenance programs now being done by Metro after decades of neglect. “I do not think it would be responsible for us at this point to change the hours and put at risk the safety of our passengers … and the reliability of the system and, not to mention, potential federal funding,” Smedberg said. Evans is concerned though that if there are no hours changes now, they may never happen, especially with a few board members expressing the opinion that Metro only provides a positive service to the region at busy times such as rush hour, and subsidizing cab, Uber or Lyft rides would be better at other times. Goldman said he may not ever support a return of late-night hours, although he said that was a personal position. “It just staggers the imagination, makes no sense at all,” Goldman said. That appeared to drive Evans to push harder for changes. “If this is a year-to-year reevaluation that never ends, then what’s the point?” Evans said. He promised some type of negotiating effort before the final vote. “We have two weeks between now and then, and I will assure you I will do my best efforts to see if there is some way we can have a meeting of the minds and come together and do something. I can’t promise anything,” Evans said. D.C. Mayor Muriel Bowser has gone on a Twitter campaign supporting a return to previous hours. Though the District is pushing for a complete return to old hours of midnight closings Sunday through Thursday, 3 a.m. closings Friday and Saturday, and 7 a.m. openings Sunday, an alternative proposed last month could provide for smaller increases to 2 a.m. closings on Friday and Saturday, and 7 a.m. openings Sunday also appeared to be feasible. “At the moment, it’s all or nothing, but, again, two weeks from now, things could look differently, or not,” Evans said. Depending on how ridership is counted, the current service reductions could be impacting anywhere from about 900 to several thousand people on a given night. Now is the wrong time to make changes though, Arlington’s Christian Dorsey said, just as Metro seems to have gotten its act together. “This doesn’t really seem to be, with all due respect, that hard of an issue from a policy standpoint,” Dorsey said. Though he would like to see more service at some point, Metro is “just not there yet,” he said.